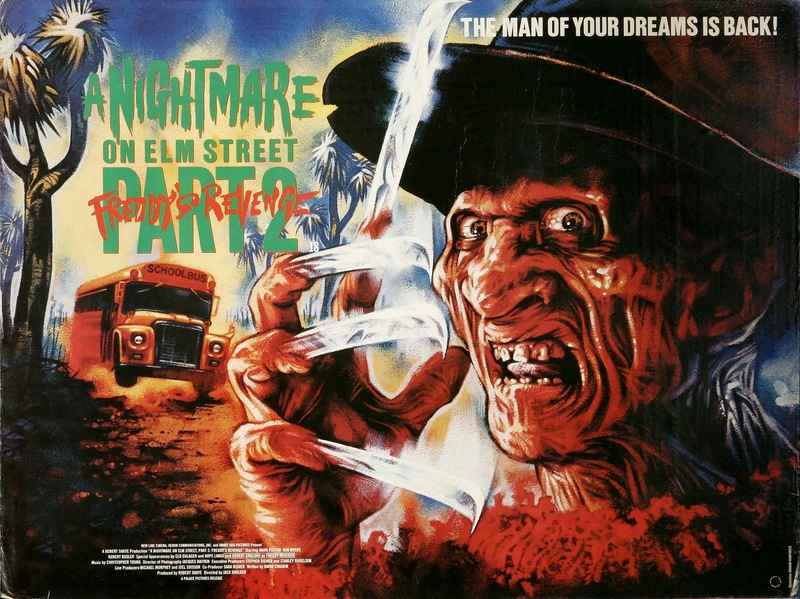 For many fans of the Elm Street series A Nightmare on Elm Street 2: Freddy’s Revenge is sometimes dubbed the weakest of the series along with the 5th part Dream Child . When it comes to Dream Child I think I like the film more for what it could have been rather than what it was, but I can’t really defend it against those who hail it as the weakest even if I don’t view it as the weakest and when it comes to Freddy’s Revenge like Dream Child I really can’t defend it from such comments on it being it being the weakest, but I would probably agree on Freddy’s Revenge. What I can say is the film is better than its reputation in my opinion even if at the end of the day it isn’t very good. Don’t let my 2.5 fool you too much; granted its not exactly a high rating and I stand by my rating, but I still can find enjoyment with the movie and every few years even revisit it. But when all is said and done he film is mostly forgettable and even if I do revisit it like I said its once every few years and while for me the film borderlines a 3 rating it just has certain factors working against, which I will cover in this review. 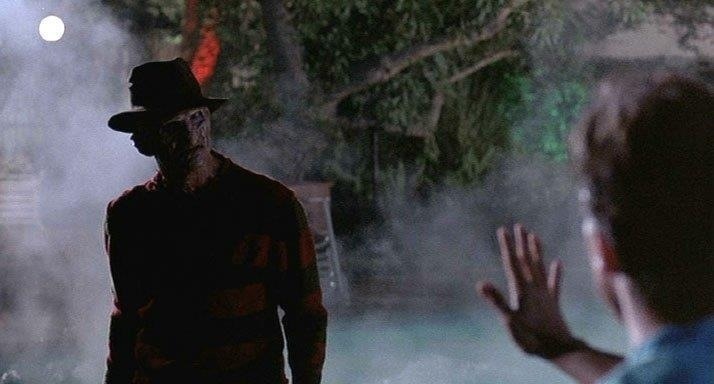 What Freddy’s Revenge is probably most famous for is the gay subtext, which is something when I was younger I never picked up on, but I remember reading reviews and comments on message boards and going back and revisiting it and being surprised by how much is implied. According to people involved with the film none of that was intentional, but quite honestly I really don’t believe that. If it wasn’t director Jack Sholder’s intention to tell a story about a teen coming to grips with his sexuality than it had to be the intentions of the writer David Chaskin. Set 5-years after the orignal Jesse (Patton) and his family just moved into 1428 Elm Street the very house that Nancy lived in. Not long after arriving, Jesse starts to have nightmares about Freddy (Englund) he pays no mind to it at first thinking they’re just dreams, but soon he learns his dreams can be deadly and Freddy is using him to enter the real world to continue his killing spree. The screenplay by David Chaskin is many ways is a rewrite of the original only inferior with weaker characters. The characters while not the worst really aren’t very interesting either. Jesse makes for a decent lead and the only film in the series to have a male lead over a female. Lisa (Myers) who is Jesse’s friend and love interest was a solid character, but given little to do. As I stated in past reviews while I love the original and New Nightmare, but find everything in between simply ok, but I always felt the Elm Street series always did an excellent job in creating solid and likable characters. While I liked Jesse and Lisa they are also kind of forgettable and the rest of the characters really serve little purpose. Even though this is only part 2 we already knew Freddy enough that his mystery is pretty much gone so when the characters are oblivious to the dangers it doesn’t work very well; the script might have been better served adding a little more to Freddy without straying. 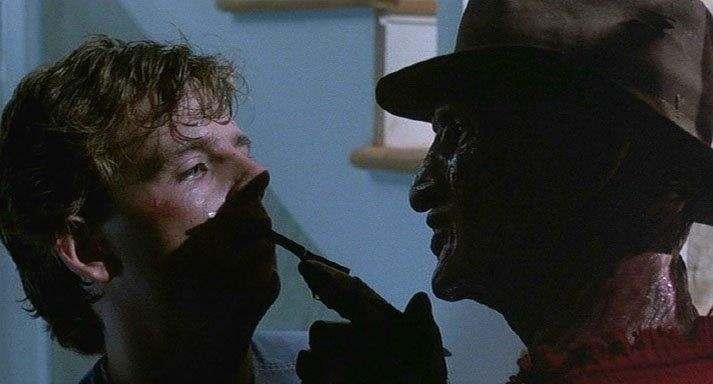 In later sequels the makers added a little something to the Freddy mythology, but this one doesn’t, which isn’t a bad thing per se, but problems is Freddy really doesn’t have much to do, but show up and recite the same dialogue over and over again. While not horribly written the script for the most part falls a bit flat and simply relies too much on rehashing the original and never really adding anything of its own. As I mentioned about the gay subtext in many ways one can view this movie as a teenager coming to grips with his sexuality and Jesse trying to suppress Freddy is a metaphor for Jesse trying to deny his homosexuality. In one key scene that kinda sums it up for me is as Jesse is making out with his girlfriend Lisa, Freddy begins to come out of him and scared he runs off to be with Grady (Rusler). For me that scene speaks volumes of what the intentions of the film were regardless of what anyone says. I’m not sure though if this was meant to be a serious social commentary tale about a young man dealing with being gay in a society that won’t accept it or if this was just some kind of big joke. But through out the film there are hints that the film is about a guy dealing with being gay and perhaps its just me, but there does seem to be something sexual with Jesse and Grady. As director Jack Sholder delivers a fairly decent, but ultimately forgettable film; Freddy for a good portion is off camera and when he appears its briefly until the final act, but the problem here is Freddy isn’t very imposing. Sholder mostly rehashes the original, but unlike the original Freddy’s Revenge is light on suspense and scares. The first half of the film while not overly interesting is fairly strong and Sholder keeps the movie running at a slow, but steady pace, but as the film goes on it does at times get very sluggish. Jack Sholder never really manages to inject much life into the movie and while I was never bored I wasn’t really entertained either. Freddy also isn’t very imposing in this one. I’d go as far to rate Robert Englund’s performance in the original up there with actors like Karloff as the Monster, Lugosi as Dracula and Chaney as the Wolf-Man, but this time around Freddy is never really imposing at all. Freddy’s Revenge like some of the later sequels was rushed and I think at times it shows in the production since there was a decent idea that never rally goes anywhere. Also what the original did so well is blend the real world and dream world together, but that doesn’t work as well here and having Freddy enter the real world during the pool party scene had potential, but rather comes out as unintentionally funny. Overall like I said I can’t defend this movie from being called the weakest since I would have to agree. But I do think the film is slightly better than its reputation. About the only thing I prefer over this than some of the later films is at least Freddy is still mostly dark. 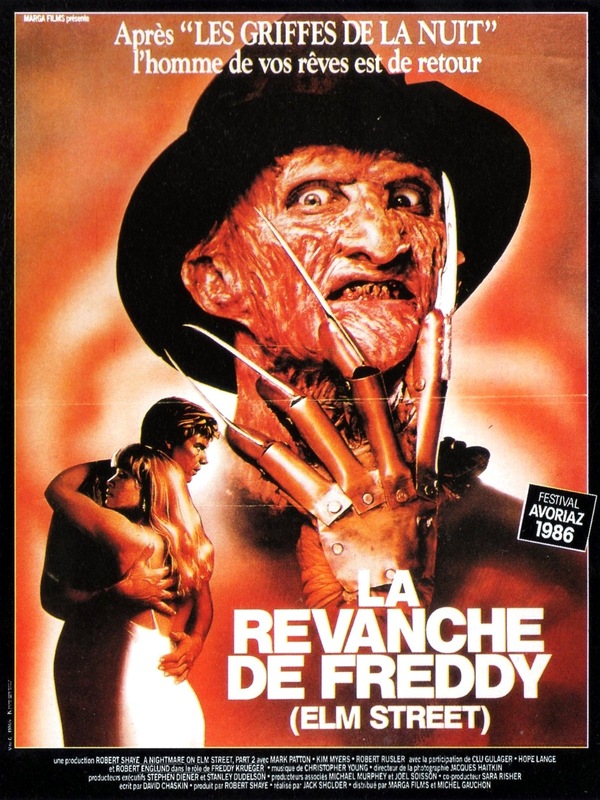 Over the years Freddy’s Revenge has gained a lots of fans from the series, but when all is said and done there isn’t enough happening and that’s what sinks the movie in the 2nd half. Despite my rating I can watch it every so often and find it semi-entertaining.